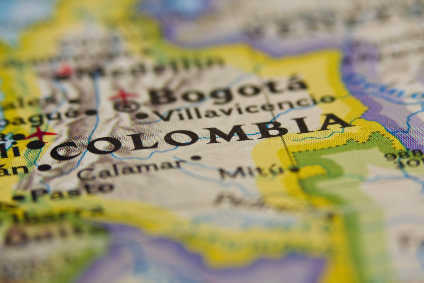 Colombia needs a free-trade deal with Brazil, to fix a US cumulation dispute, and boost financing for export-hungry enterprises, if it is to bolster textile and apparel companies' efforts to expand abroad, according to executives at the latest edition of sourcing fair Colombiatex. The four-day event is expected to match or exceed last year's 15% gain to $308m in potential sourcing contracts, said organiser Inexmoda's president Carlos Eduardo Botero. He asked the 510 exhibitors from 24 countries to offer their best products to 10,000 expected buyers to make the fashion system "vibrate." Botero asked Commerce, Industry and Tourism Minister Cecilia Alvarez-Correa to work for Colombia to sign a free-trade agreement (FTA) with Brazil as soon as possible to help ramp up exports beyond 6% currently. He also pleaded with the minister to persuade Ecuador to remove a 21% duty on Colombian imports, which saw them plunge 37% from January to November last year. Bogota should also fix a cumulation impasse as part of its US FTA that's crippling export growth, executives said. Colombia wants the US to expand rules of origin to enable it to use Peruvian or Central American fabrics to make apparel for US sale. The US has been slow to approve such requests due to the negotiation of the Trans-Pacific Partnership (TPP), according to Juliana Calad, executive director at the textile and apparel arm at national business association ANDI (the Asociación de Industriales de Colombia). Alvarez-Correa said negotiations are proceeding with the US, but with no end in sight. While Ecuador has promised to lift the duties in June, there is no assurance they will, she added. A Brazil and Canada FTA appear more feasible in the near term, she said. During a Q&A with industry executives, Alvarez-Correa said Bogota is considering launching a new lending line through development bank Bancoldex to help provide working capital for the sector. She also asked executives to meet with her to iron out ways to boost financing at a time when banks' refusal to lend has triggered a $400m annual financing squeeze. "We've gone to $25m [in bank loans] a year from $100m a year in 1999" before many firms went bust amid a recession, said Lina Maria Posada, legal secretary at textiles giant Coltejer. She added the sector owes some $500m to banks as part of a bankruptcy rescue package introduced then that has made wary to lend again. "We are having a lot of trouble obtaining funds for everything including cotton supplies to finished fabrics." Loans from foreign institutions like the International Finance Corporation (IFC), Latin American Development Bank (CAF) or European banks like Societe Generale are also largely unavailable, further pressuring the sector, Posada said. The industry needs a more ambitious development bank similar to Brazil's BNDES, which helped bankroll Brazilian apparel firms during the boom times. To achieve this, it wants Bancoldex to issue more direct loans instead of guarantees, according to Posada. The administration could also help issue guarantees against company real-estate, machinery, future sourcing contracts or other assets, she said. Calad added the shortage is triggering production and export delays. "We want the government to know that the financing gap is creating bottlenecks," Calad said. "For example, we have amazing high-end shirt producers but they can't make the premium cotton needed to make their products. We have cotton textile mills but they don't have the machines to make higher-end fabrics." Firms in the key denim sector are also struggling, finding it hard to procure funds to make more value-added products, she said. Jorge Andres Lopez de Mesa, vice-president of thread maker Enka, said the industry must clear its past debts to encourage banks to resume lending. However, he said exports could rise 10% this year to over $1bn, prompting some banks to issue new credit. During the event, executives also asked for Bogota to intervene to lower sky-high energy prices, hovering at $11 cents per kilowatt compared to an $8-cent regional average.